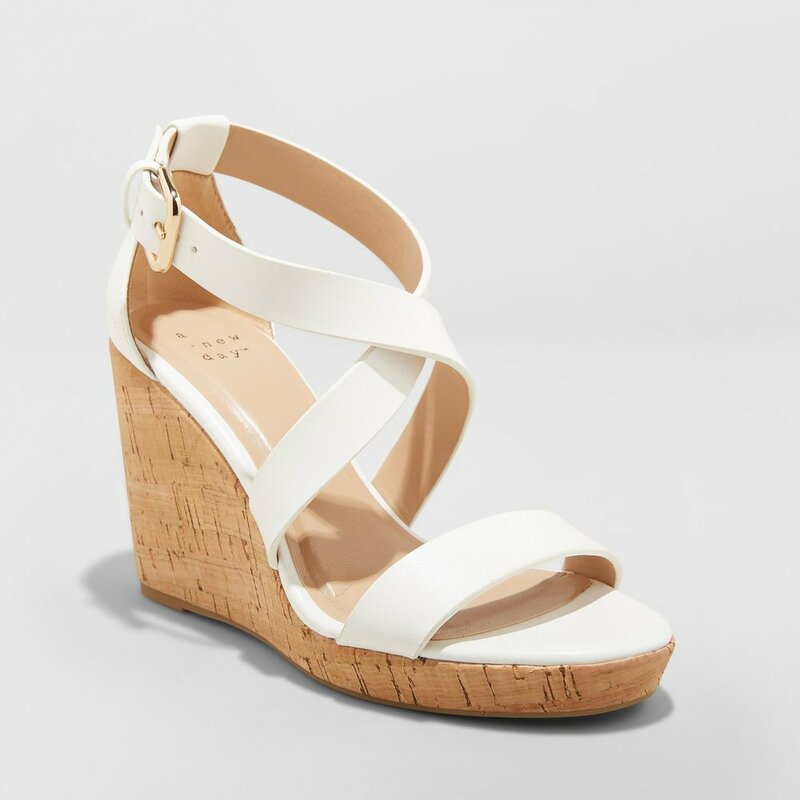 These wedges are so ridiculously comfortable and come in three colors as pictured above: blush/white, black & taupe. I have the blush/white ones and love them. They are so versatile and can be worn with jeans or a dress. They are a classic spring staple. If you’re familiar with Target and their shoes, these shoes were available last year and sold out almost immediately. These were sold out last week but they re-stocked them. I guarantee you that they will sell out again so if you like them, I’d suggest that you pull the plug ASAP. These slides are super super comfortable. They are classy enough to wear to the office if you don’t feel like wearing heels. I love the scalloped detail and the leather look. They are only $12.99 and look way more expensive. If you’re a fan, I’d suggest stocking up in all of the colors because these will also sell out. Dupe alert! 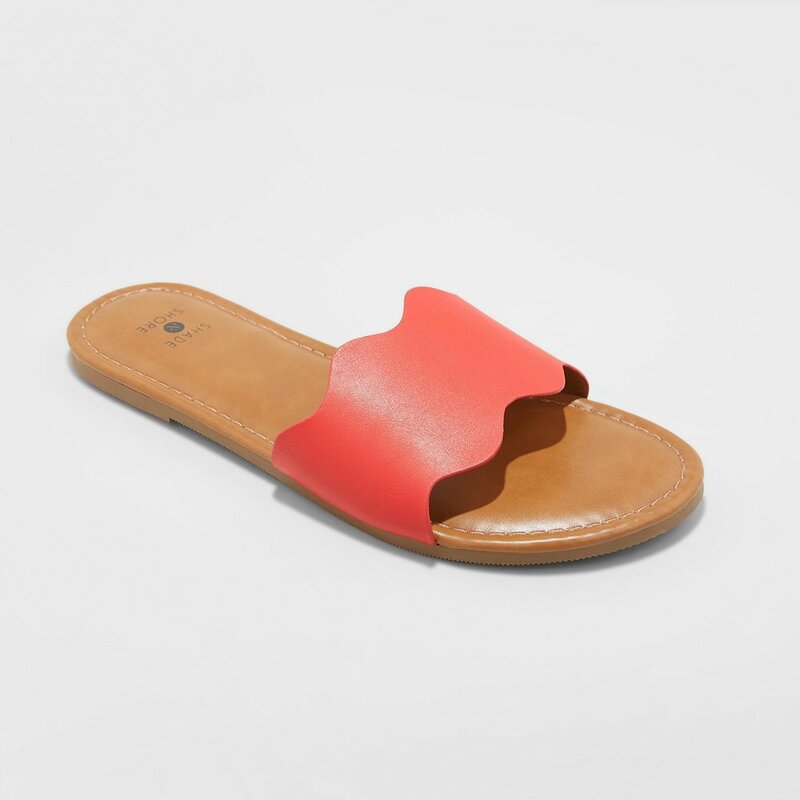 These are perfect dupes for the Steve Madden slides and are only $19.99. They come in brown, gold and snake skin colors as well but these two are my favorite. I believe these are also going to sell out so I’d suggest that you snag them quickly. LOVE these wedges. The cognac color is my favorite. 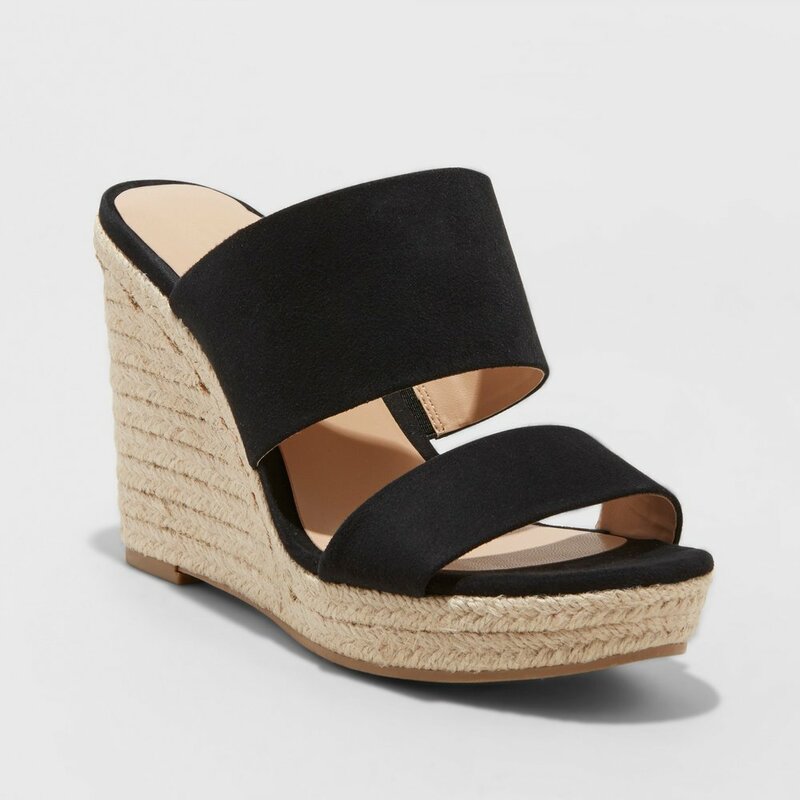 I love the strap detail on these wedges and I tried them on. They are ridiculously comfortable and another classic spring closet staple.